One in six children across North America live in low-income homes.1 Many of these children will never get the chance to experience camp and the life-changing opportunities it offers for growth and development. The Tim Horton Children?s Foundation offers inspiring opportunities for kids from low-income families? aged 9-18 to attend camp and help them build essential life skills to make their futures brighter. 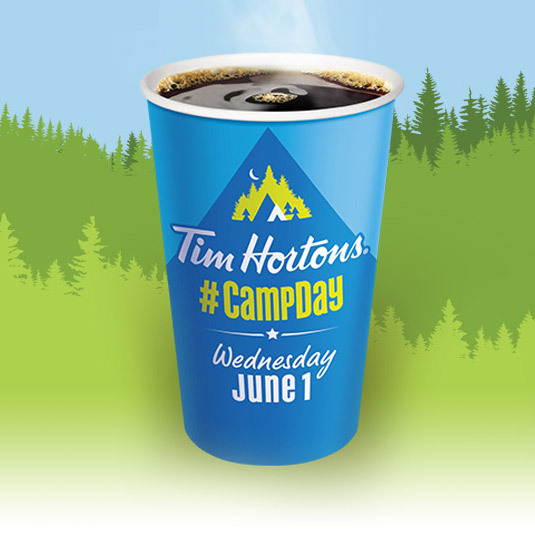 Tim Hortons Restaurant Owners work with local youth agencies and schools to find qualified campers?more than 19,000 this year! Foundation camp experiences are more than a fun trip away from home. THCF programs are focused on goal setting and positive personal achievements, helping the campers become responsible, caring and motivated individuals. Possibly for the first time, these kids try their hand at high and low rope adventures courses, archery, canoeing, creative arts and other enriching activities that many more fortunate children take for granted. Campers meet new friends, challenge themselves and discover that they are capable of great things when they really try. The Foundation supports seven camps across Canada and the U.S. with each location offering a distinctive camp experience. All, however, have the same goal to help kids reach their full potential through camp activities that help build eight essential life skills and values: teamwork, responsibility, reflection, goal setting, motivation, relationships, caring and challenge.